Funny, isn’t it, some things in life we take an instant dislike to, whilst others it’s just the opposite and you’re turned onto them from day one and that’s true in the case of Citroën’s latest offering the C3 Picasso. The original press release pictures made the C3 look quirky and strange but everyone around here liked it immediately, and of course, because it was an MPV and it was made by the masters of the art, Citroën, we were pretty sure it would be OK, but recently, we were asked by Citroën to come and have a play with the car and really see what we thought. Well, the initial warmth we felt for the car was justified and it looks like our first impressions were right. On seeing the car in the flesh, we were struck with how classy it looked. Fit and finish was superb, the paint was gorgeous and it really did look and feel like a quality item, and that impressed us, particularly considering the sector of the market it’s aimed at. Inside the C3 Picasso, it’s not any different either, as the quality thing is obvious with lots of nice touches such as gloss black inserts, plenty of shiny chrome, lots of soft touch materials and little attentions to detail such as contrasting stitching on both the gear knob and steering wheel. Spending just a few minutes with the car, it’s really easy to see the C3 Picasso wasn’t just flung together to fill a gap, but rather it’s a carefully thought out vehicle, aimed four square at capturing that sector of the market. We have heard the C3 Picasso referred to as the “magic box” and for sure it does have some tricks up its sleeve but I guess the most impressive is that Citroën have managed to get so much space into a little car. For a car that’s just 5” longer than a Fiesta, Citroën have managed to make enough room for four 6 foot adults (wearing tall hats) to travel in comfort and bring all their stuff with them in its massive 500litre boot (which, grows to an enormous 1500litres with the rear seats folded down). So this really is ‘a big little car’. The C3 Picasso is a fairly chunky looking thing and really quite appealing with its SUV style bumpers, which can look even more moody, if you choose the optional “black pack” which gives you 17” two tone diamond dipped alloy wheels, dark tinted glass and seriously shiny black inserts on the bumpers and fog light surrounds. There are four engines to choose from, 2 petrol and 2 diesels with the diesel units both 1.6 but offering a choice of 90bhp or 110bhp. Petrol is still viable in small cars, so Citroën have opted for the two units they developed in conjunction with BWW, which are a 1.4 95bhp and a 1.6 120bhp. Co2 figures range from 125g/km up to 159g/km, depending on the model and engine choice. We drove all 4 engines and yep, they all do the job well, with the petrol units thriving on revs whilst the torque’y diesel units offer some serious grunt. We preferred the diesel engines, but then we do that in most things now days. Performance wise, the 1.4 petrol unit has a 0-62 of 12.2 seconds and a top speed of 111mph and on the extra urban tests, can return 50.4mpg. The bigger petrol, the 1.6 unit, has a 0-62 of 10.9 seconds and a stated extra urban fuel consumption of 51.4mpg. You would expect the diesels to be both a little slower and to deliver a higher mpg and that’s exactly what happens, with the 1.6 90bhp unit taking 13.4 seconds for the 0-62mph dash and running up to 108mph, but delivering between 68.9mpg-70.6mpg, depending on the spec vehicle you choose, whilst the 1.6 110bhp unit only comes in the ‘Exclusive’ specification and returns 11.2 seconds for the 0-62mph and 114mph top end, at a cost of 68.9mpg on the extra urban cycle. Spec wise, the C3 Picasso will come in 3 flavours, the lead-in VT, the good value VTR+ and the range topping Exclusive. On the road prices start at £11,495 for the 1.4 95bhp VT, going up to £15,595 for the 1.6Hdi 110ps in the ‘Exclusive’ specification, so it seems there will be C3 Picasso to fit most budgets. The ability to customise your C3 Picasso to your taste is made easy as there are a number of multi-packs which allow you can spec it up such as ‘Safety Pack’ will give you extra airbags and a speed limiter, ‘Automatic Pack’ will offer nice touches such as auto air-conditioning, auto headlights and rain sensitive wipers, ‘My Way’ as you might expect, gives you a full colour Satellite Navigation System, with live traffic information and European mapping, plus Bluetooth for your phone and there are a couple of ‘Spacebox Storage System’ options that make it easy to carry stuff to fit your lifestyle. Of course, in addition you can choose from a number of individual options to fine tune that even further. On the road the C3 Picasso is really easy to drive. Around town it’s a breeze, with its light power steering and there is loads of glass making all round visibility superb. Take it outside town onto some country roads and push it a little and its really composed and precise into the corners, with very little in the way of clashes and bangs, even over poor roads and it really feels like the C3 Picasso is built to last. On the motorway, well its different again, the ride is excellent with hardly any road noise and it’s easy to relax and concentrate on the job in hand in its light and airy cabin. All in all, the C3 Picasso is an effortless car to drive, which again, is an achievement for a car of its size. Most of us know how successful Citroën have been in the MPV market, simply by the numbers you see on the roads and that’s because they’ve done the job, offering well thought out yet stylish alternatives to so many other MPV’s which are almost van like. Its therefore not going to come as a surprise to you to learn that one in four MPV’s on the road in Europe are made by Citroën and whilst I am not a betting man, if I were, I would put my money on them selling even more following the launch of the delightful C3 Picasso, and you know what, we kind of feel Pablo Picasso might just have approved. 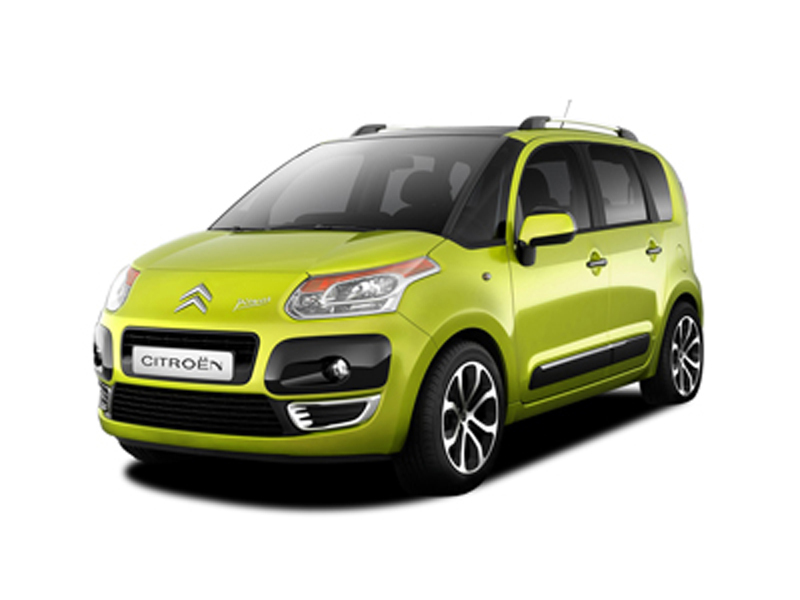 If you require a quotation on the new Citroën C3 Picasso, or on any other Citroën, please contact us.